Article's Ratings → 4.8 out of 5 based on 893 ratings. HTML/XHTML and HTML5 are different in many terms. HTML5 is the latest version of HTML. HTML5 includes many tags from html4, like p, h1-h6, div, img, form etc. But some tags from html4 are removed in html5 as these tags were presentational. css is compulsory with html5. 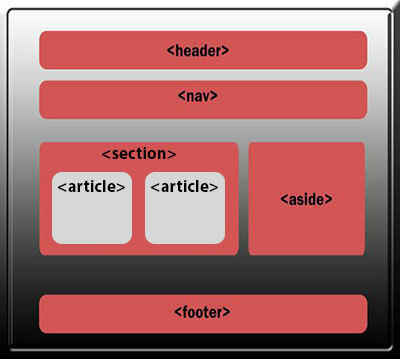 Some HTML elements are redefined in HTML5. HTML5 is more semantic than HTML4. 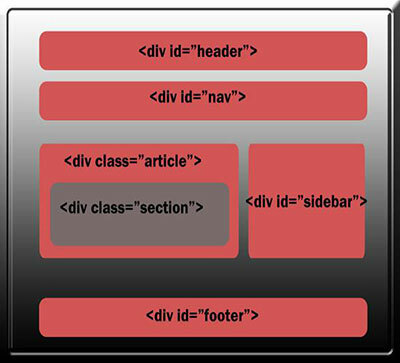 HTML5 includes sementic elements, like header, nav, article, aside, section, figure, footer, but in html4, only div tag was there to do all these. Lets have a comparision of html4 with HTML5. With HTML5, our websites are more semantic to user and search engines. Search Engines prefers HTML5 based websites. To improve seo of a website, html5 is very usefull. Search Engines can understand HTML5 based website in a better way then HTML/XHTML. They know where is header, and where is our content. Thus better search results with HTML5. Internet Explorer 8 and lower Compatibility. As HTML5 becomes web standard in 2009, Internet Explorer 8 and lesser version doesn't support HTML5 new Elements and attributes. For that we can write following code in head tag using conditional comments to get old browsers support. If we want that all browsers ( including IE 8 and lesser) support HTML5 Schematic tags, we must use a third party script HTML5shiv.js. Html5shiv supports Interner Explorer 8, 7 and lesser browsers. Always use html5shiv.js in conditional comments. This can also improve webpage performance. Click on button below to download. Note: Now your website will support HTML5 new schematic tags in all browsers.